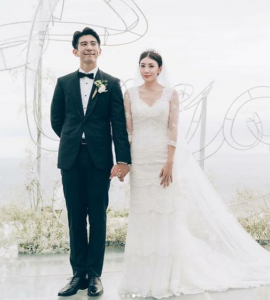 It all ends well for Alyssa Chia after a failed first marriage. Once troubled by a bitter divorce in which she faced her ex-husband in court for custody of their daughter eight years ago, 44-year-old Taiwanese star Alyssa Chia (賈靜雯) found happiness with actor Xiu Jie Kai (修杰楷), who is nine years her junior. 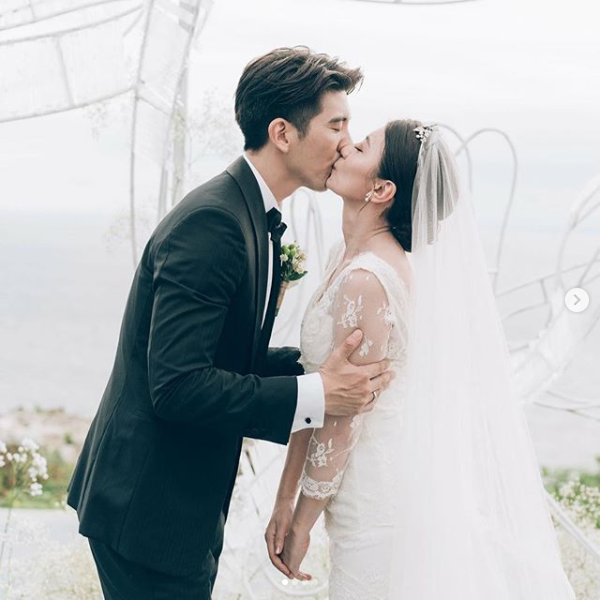 Married three years ago, the couple held their formal wedding celebrations in Bali on November 25. Alyssa said her husband had left with their daughter during a tussle and did not return. The separation from her daughter was a nightmare and “the pain of her life”. However, she later reconciled with her ex-husband for the sake of their daughter’s development and growth. Despite the hurt from her failed relationship, Alyssa did not rule out being in a relationship and kept her options open, with the only condition being that “he must love my daughter”. In 2014, she was spotted given a lift in Xiu Jie Kai’s car, and the three of them were seen walking a dog at Riverside Park in Taiwan, much like a loving family of three. Admitting that she was happily in love, she said that her brother Wesley Chia (贾鹏礼) had introduced them and the two had turned from jogging companions to lovers, with the approval of her daughter. 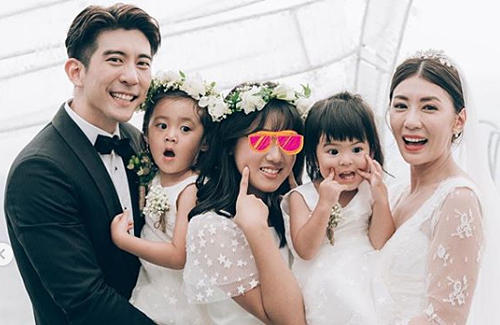 From the start, Xiu Jie Kai didn’t mind that Alyssa was divorced with a daughter. “It’s just a part of her life,” he said. Going on a reality parenting program recently, the couple traveled to Guishan Island with their daughters. She recalled having visited the same island during the year of her divorce to film a music video for singer Chyi Chin (齊秦). Reflecting on the difference to her life and state of mind in the eight years which have passed since then, Alyssa mused, “Time has flown by, and I wouldn’t have imagined that this would be my life today.” Fans are as glad that the actress has bid goodbye to her unhappy past and is glowing in newfound happiness. Aww.. how adorable the two little girl but why cover up the other girl? This reminds me of Catherine Hung her husband is about what 10 years younger than her?